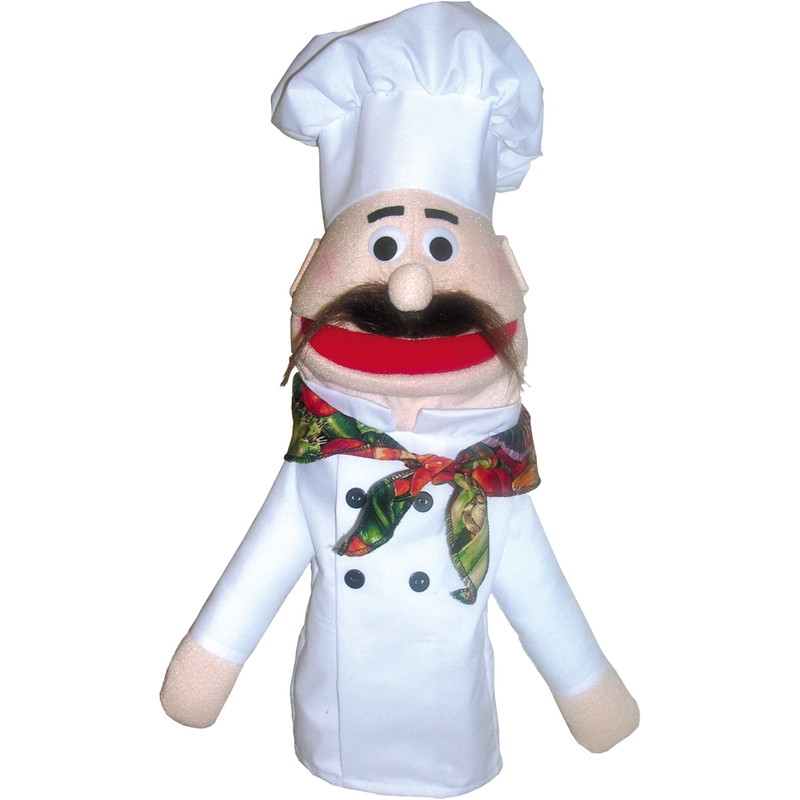 Friendly half body chef puppet is great for amateur and "pro" puppeteers. Approx. 16.5"